Since I live in New England, I'm a huge fan of supporting local businesses. 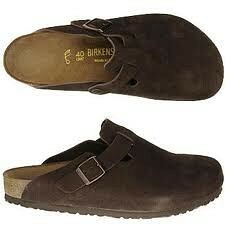 They sell Birkenstock sandals, shoes and clogs at the lowest regular outlet and sale prices in the USA and Canada. They also offer Special order items normally only sold in Europe. 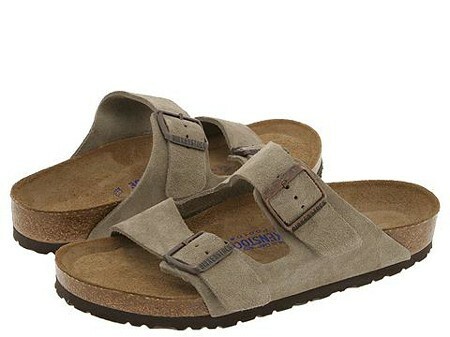 Birkenstock sandals and clogs are useful because with the footbed, the toe grip encourages the toes to perform exersizing gripping motions, motions similar to picking something up with your toes. This strengthens leg muscles and sufficiently exercises the foot. The longitudinal arch support does not rigidly hold the foot but it keeps it safely inside the shoe footbed. This way pressure is optimally distributed when walking, standing or running. The footbeds are made of extraordinarily shock absorbing materials like cork, Alpro-cell or Alpro-foam, which let the footbed take up the impact of each and every step. The heel area is cut particularly low and accurately moulds to the foot. The footbed fits perfectly and unwanted twisting of the ankle is prevented. In order to protect the foot all around the rim is cut extra high. This way slipping out of the footbed in the front or the back is prevented and the toes are effectively secured.